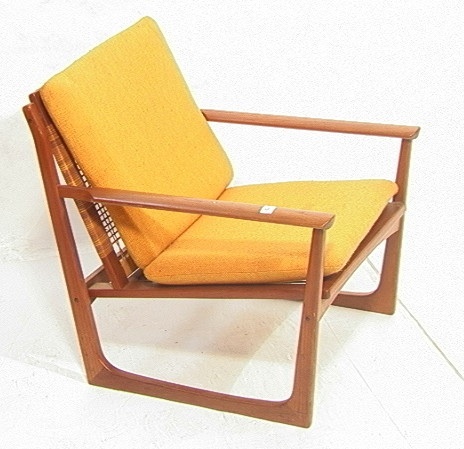 JUUL KRISTENSEN Selectform Teak Lounge Chair. Cane Back. ULKESTRUP PR. MORKOV. Black Danish Control tag. Condition: Cane has hole and breaks. Stains to upholstery.